Within five minutes of being in the Defender, Ronnie pipes up to tell me that the truck is running on oil from all those fried milanesas that are near and dear to the tastebuds of Argentinos. A local restaurant serving minutas (fast food) would serve as our “gas” station and we made a small detour to get a barrel of the used oil. He hands me a rock as he jumps out of the car. Upon returning he tells me that it is from a meteor that hit the earth in Moldova and that it changed his fortune over night when he came in contact with it. I close my fingers around it, smiling at the idea and thinking, “Porqué no? why not? …could work just as much as anything” and I hope for fortune to melt out of it into my palm. By the time we’re bumping along the road and flying through the turns around Lago Gutierrez, we are trading stories about the healthy and healing powers of plants. He pulls over to the side of the road to pick a tiny, bitter branch for me to taste, supposedly it helps with digestion or something. 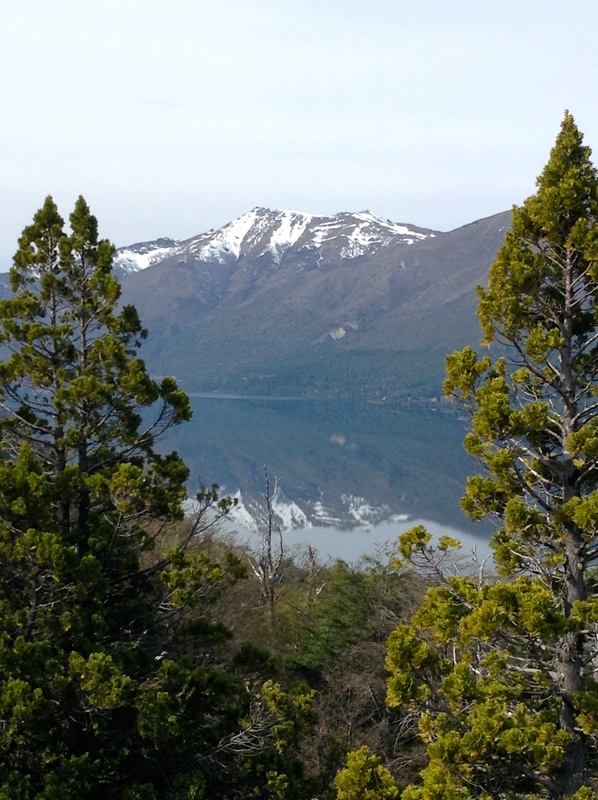 The final few miles took us down a gritty side road and into Nahuel Huapi National Park. We drove through the wooden gate, through a corridor of trees and into a panoramic view of my new home. Horses wandered around freely, chased by the border collies. A wall of mountains with a skirt of trees that sprouted a waterfall stood guard over the glacial lake. 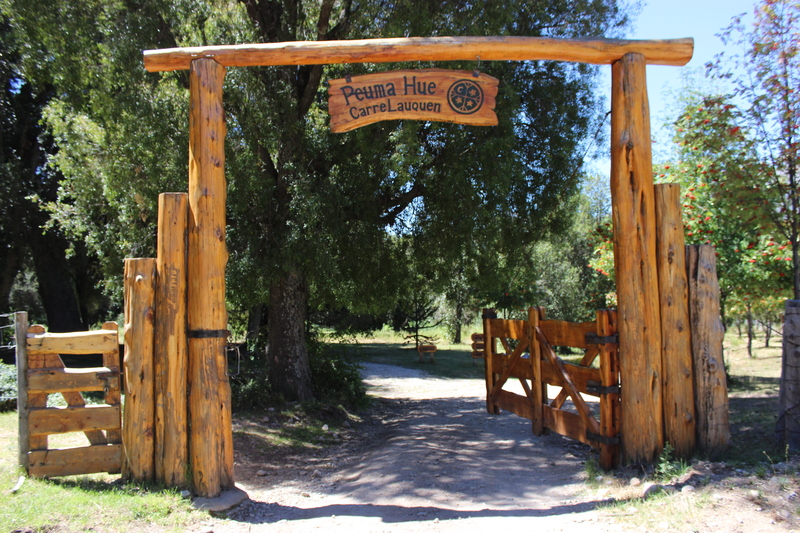 No explanation was needed for how this place got its name, Peuma Hue (pey-oo-mah, wey), Mapuche for Place of Dreams. 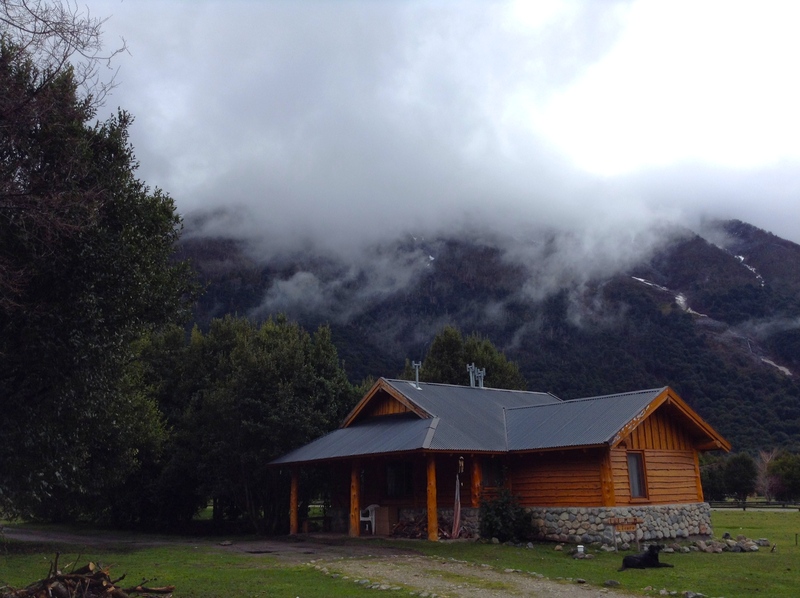 Having looked through the webpages of this high end, rustic resort before coming, I had been hypnotized by the views, the luxurious log cabins, the descriptions of the healthy organic food and the focus on yoga, mindfulness and magic that immersion in nature brings. For the guests, yes, the reality is this fairytale. But for me, this would be different. I was coming here as a cultural exchange…swapping work in the gardens and kitchen in return for food and a shared room in the staff house. As I was introduced to the reality of what this would be like, the perfect panorama I had driven into began to unravel. Anxiety and fear stirred inside of me. My chest tightened and the heat of the emotions boiled up through my body, rising to my face and creating a frenzy of activity in my rattled brain. I worried about my health, which is always a struggle for me. Would they give us healthy food? 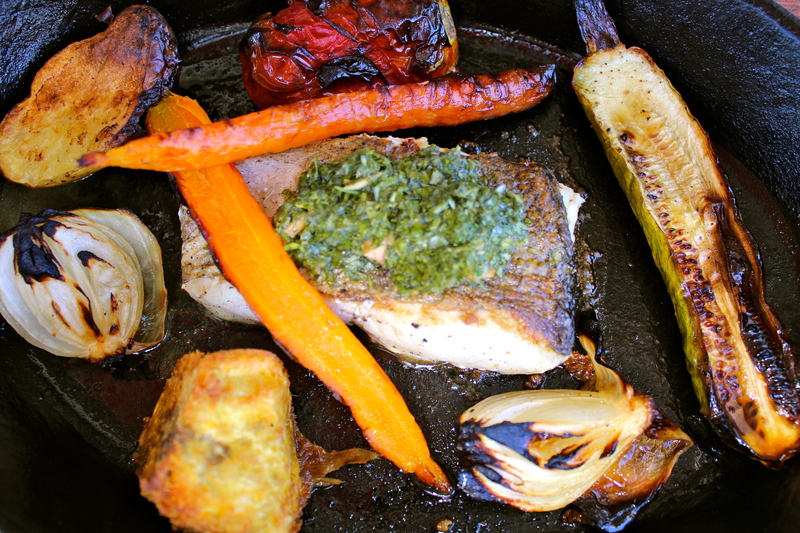 Argentina and vegetables…especially of the green variety…don’t always tango together. What would the other people be like? Nine of us in a tiny house? How would I balance myself among being social, the expected workload and writing my book? Would I be able to write my book? Would I have the time and space to do that? What if it didn’t work out? What were my other options? I didn’t have time or money to look for something new. The uneasy feelings churned inside me as I realized how far we were from town and the nearest place to buy a bottle of wine, which I was wanting right about then. I then took a deep breath and walked in on myself having this reaction. I knew I needed to get some time alone outside in nature to wander, write and work through this. I spent the afternoon exploring, walking along the rocky shores of the immaculate lake and through the gardens that were still asleep for the winter. I gazed up at the mountains, adorned with snow and stood there admiring their rugged beauty. I walked along the gravel path that wound through the property around the log cabins, crossing the fallen tree bridge over the creek and to the stone temple on the hill. I had been independent for a year and a half, answering to no one but the call to adventure. I would now be at the mercy of my new circumstances, losing my autonomy. I would be accountable to someone else’s dream and expectations. I would now have to write in between my work shifts, hoping inspiration and energy would meet me on demand. I hadn’t thought about this and felt blindsided by it. It was like watching the movie of a book you have read and loved, only to find out that they had gotten it all wrong when translating it for the screen. I sat on the steps of the temple and journaled…about what I was feeling, about what I wanted for my time there. I realized that this was a familiar reaction to being thrown into unknowns, fear that it won’t work out. I’ve learned that the best thing to do is to notice what you can control and take positive action towards that, let go of expectations, seek to learn and be surprised. I listed my intentions and started a list of ideas for falling deeply into my life there and committed myself to doing just that. The negativity and fear wilted away. My heart was now exploding with gratitude for having this opportunity arise for me, allowing me to continue my journey. I felt full of peace, grace, awe and devotion for the wilderness around me, as if these mountains had been calling me and I had finally found them. This is the serendipity that I had hoped for when setting out to show up in the world and see what happens. I was living in the mountains for the first time and would be there for six months. I feel like I’m on my third or fourth life of this dream as I’m arriving back in Argentina once again to make a go at writing my book here. Each time I’ve been able to come back I’ve learned so much in the process and have had new challenges and surprises awaiting me…what will it be this time? I walk out of the airport to find my friend Jose waiting there for me with a cab and it feels more like home every time I come back. We talk excitedly, firing questions back and forth, filling each other in on what’s been going on in our lives lately. We’ve both been navigating a transition from Corporate America to trying to start new careers around our passions. I have this satisfied feeling in me, a deep longing has been quenched, to be back to my passion project. Carolina, Jose’s roommate, practically knocks me over with a hug and smiles and I feel a connection as if we’ve already had the inspiring conversations we proceed to have over the next week, the three of us holed up in the tiny kitchen, sitting on the counters, passing around maté and sharing stories and ideas about living a meaningful life. It feels good, no, priceless to have a tiny community of like-minded people to interact with and exchange support. I quickly get to know the people at the fruit and vegetable shop around the corner and can never resist going into the bakery next door to get some hot chipá (little balls of chewy cheesy bread, made from tapioca flour and naturally gluten free). I love shopping for food in this way, each little shop specializing in their one thing; the conversations and relationships formed with the locals; everything whole, fresh, in season and homemade. We turned the living room into a board room (a very cute boardroom), having brainstorming sessions and building websites. The brainstorming…I love, ping ponging questions and ideas back and forth and I’m reminded of my skill set and the parts of consulting that I loved. It feels so energizing to generate ideas and get creative, to help someone get clearer on their vision and be one step closer to manifesting it. The hardest part of building a personal business for me though is the business and technology part…hoping the challenge and frustrations will pay off if I can stick to it. Pretty soon my 5 year old nephew will likely be better at this than I am. We take a break to meet up with Lucho and head over to the feria de matadores…a traditional market where you are a minority as a tourist. 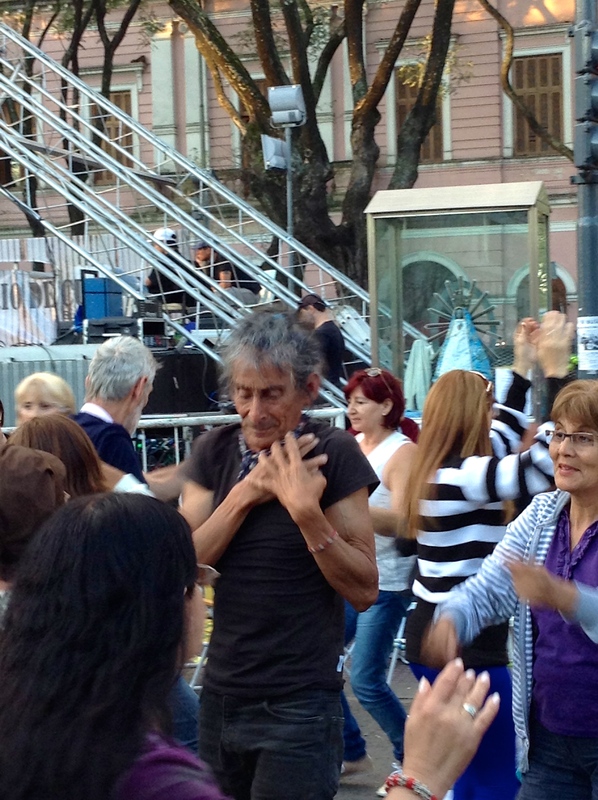 I stand out with my blond hair and light skin, but I feel at home with the melodic castellano being spoken around me, the scents of choripan (a chorizo sausage and chimichurri sandwich) and locals strolling around the art stalls with their thermos of agua caliente (hot water) tucked under their arms. We follow the crowds to the main stage where folkloric music is being played and everyone is dancing. 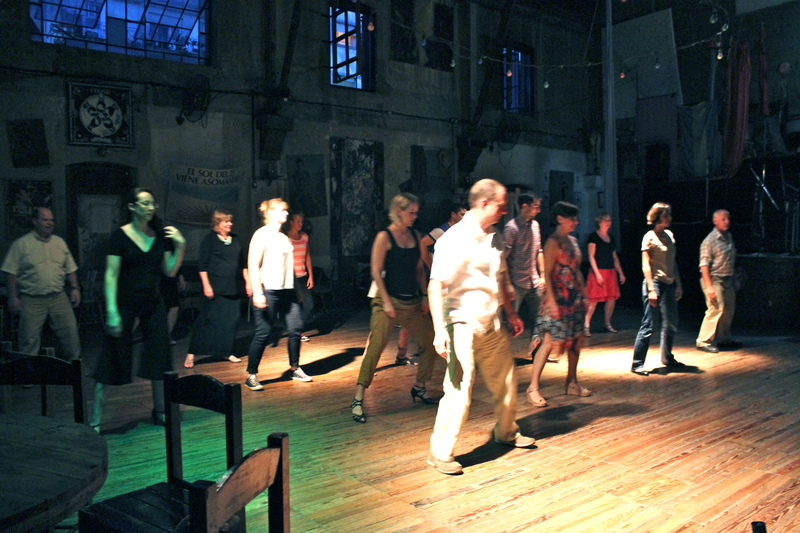 Couples are circling each other, hands in the air, snapping their fingers to the rhythm of the music. Lucho and I try to join in which provides a great laugh to each other and everyone around us as we do. 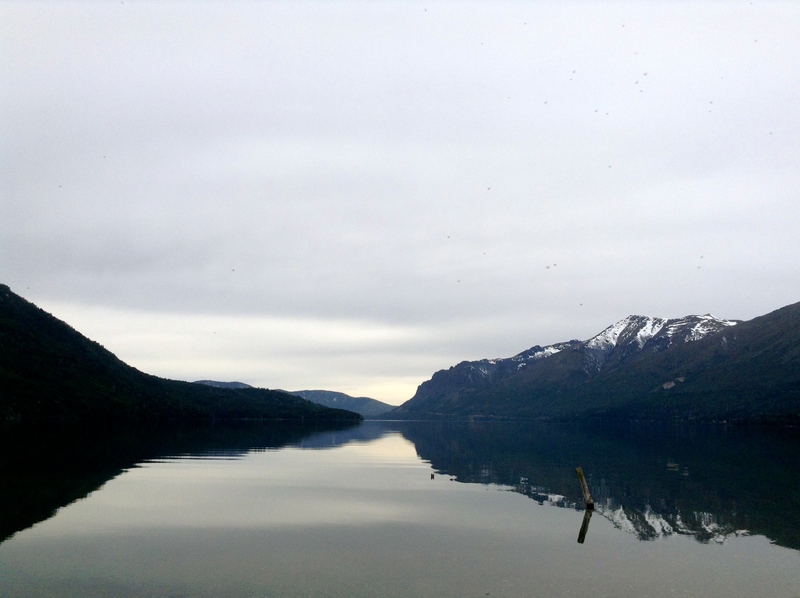 I get waves of feeling like we had been at the market a while, feeling it is surely time to leave, until I’m reminded of a quality I love about Argentina…busy-ness and rushing about just isn’t glorified in the least. It is the exact opposite. We won’t eat dinner till midnight anyway, we have loads of time. We end up staying for hours watching as the dance progressed to one where they twirl scarves about and caress each other with them. I stand there watching and smiling and feeling in my whole body that it was the right decision to come back to Argentina. It just feels so right to be here and I feel energized and motivated to accomplish what I came here to do. Let’s Go on an Adventure! The year is coming to a close and a new one will start shortly… It is a time of year where I like to do a bit of reflecting about what has happened this year…who I’ve met, places I’ve experienced, things that I have learned. I also like to start setting intentions for the upcoming year…what am I working on? Where am I going? Where do I want to be going? This year, one thing is clear: I will publish my books in 2015. I’m really excited to announce my Kickstarter campaign that I’ve launched to help me reach this goal and I’d be eternally grateful if you check out the link, back my campaign, and share it if you’re inspired. 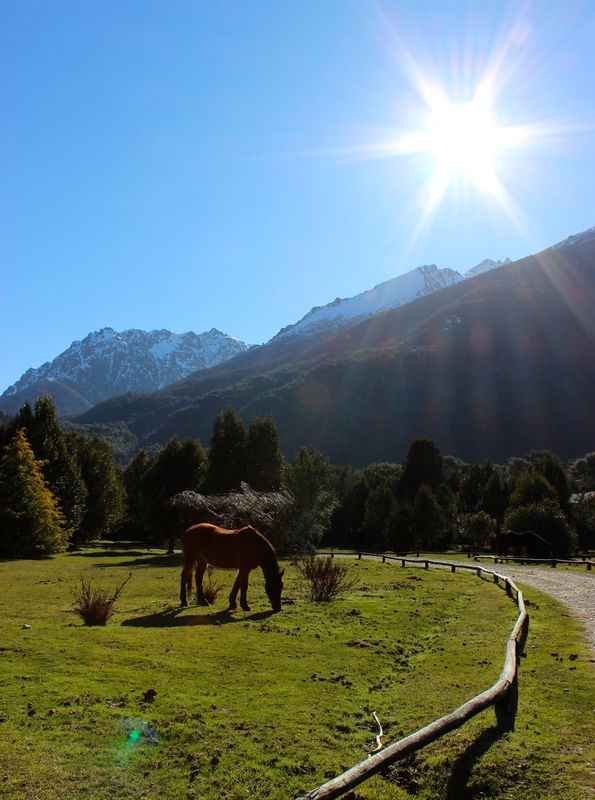 The campaign is a for writing and publishing a book about my transformative adventure from Corporate America to Patagonia, including an interactive guidebook for pursuing your passions. Continue reading Let’s Go on an Adventure! Don’t all spontaneous adventures start out with an invitation to road trip out to the desert to buy goat skins? Enter again, Lucas, the dapper gaucho who I had met at Estancia La Alejandra for the incredible experience on horseback. We’re sitting in a quintessential Argentino cafe in Mendoza, basking in the high sun and enjoying a bottle of white wine at lunch on a Tuesday, like ya do, when he mentions that he was going to head out to the desert where a guy who knows a guy who owns a roadside restaurant and raises goats, occasionally sells their skins for leather…great price. As a teenager, Lucas had headed out to the desert to live with the Huarpes people and apprentice to their particular style of leatherwork, developing quite the knack for this unique skill. This is what lunch is like with Lucas, casual mentions of indigenous art and errands to the desert as if he were talking about picking up the dry cleaning…chilled out, unconventional, and full of surprises. Ok, so maybe it wasn’t an invitation, but I immediately invited myself anyway. I felt like I could just as sensibly be communicating by carrier pigeon as I told the guy at the bus terminal shop that I was looking for Emilio’s community and asked if he could kindly tell me how to get there. That was about the sum total of information that I had…that I needed to go see this man in the mountains and I should just ask for him at the bus station and go from there. “Ah, si, si, la communidad del Milo. Bueno…” and he proceeded to tell me how to walk a few miles down the street and cut through some brush to the dirt road that would lead me there. It would be the first time I was showing up at a stranger’s house, unannounced, expecting to stay for 4 days; I suppose the walking would’ve brought welcomed time to think through my introduction. I opted for a taxi instead, albeit out of character for me, I felt nervous enough about the scenario ahead and didn’t want to start off by getting lost. The first thing I do when I am getting ready to visit a new country is to research what festivals they have. There are so many festivals that I’d like to go to worldwide, and I’m sure there are many more that I just don’t even know about yet. 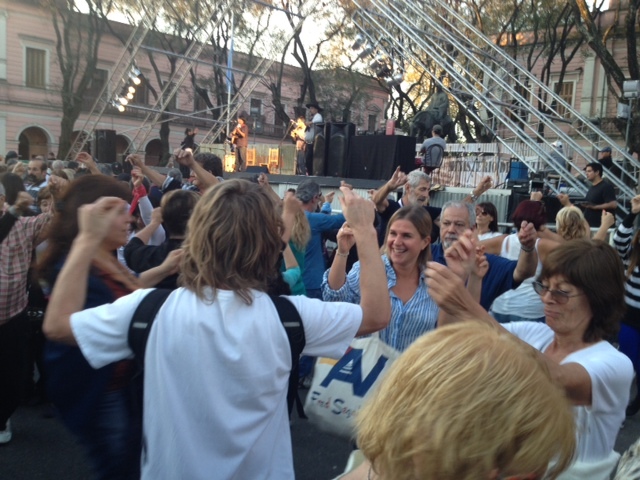 It was quickly obvious that the cream of the crop festival in Argentina is Vendimia, the harvest festival in Mendoza. 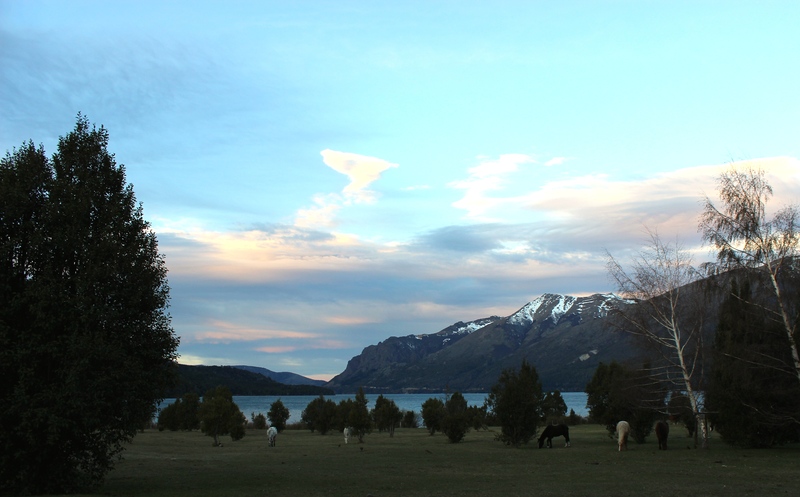 As is often my luck with timing, I had just missed it by a month last year when I first arrived in Mendoza. Now that I was living here I was determined to soak in everything ‘harvest’ this year, most definitely including the festival itself. It was hard to say goodbye to my Dad and admit that this trip we had been planning for so long was over. We were down to just us two girls, my Mom and I and our little “shopping” trip. 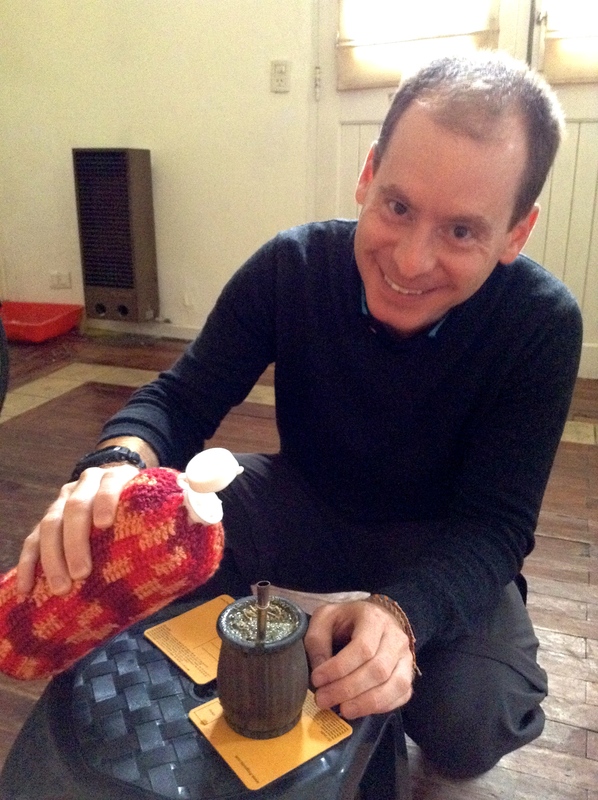 My Mom is a weaver and I knew it was essential to take her to the north of Argentina where the artesanias abound. 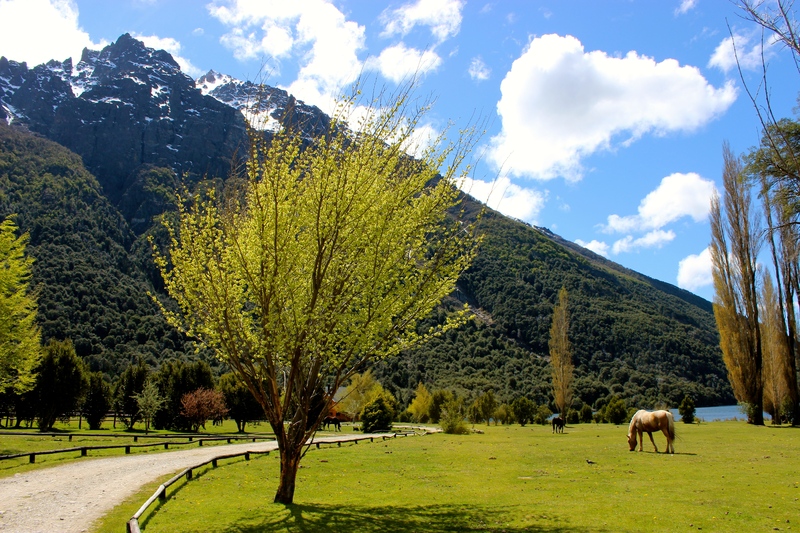 Llamas, guanaco, and vincuña wander the landscapes and their wool is naturally dyed and fills the shops and markets. 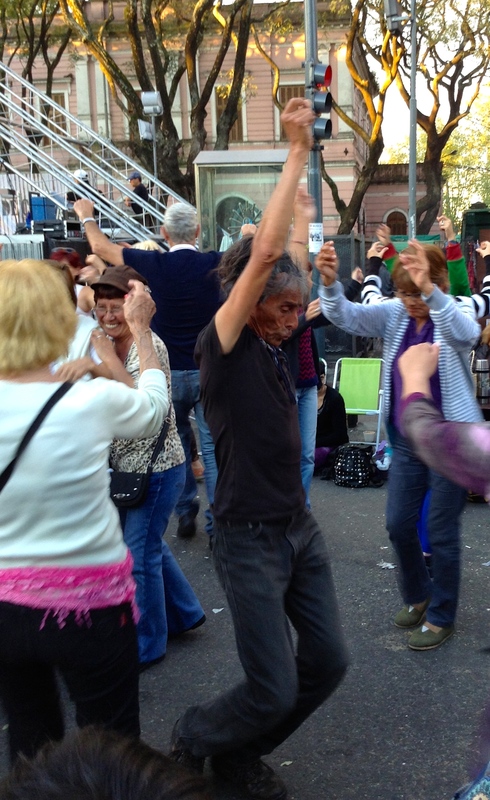 My parents had told me that they wanted to experience what my life has been like in Argentina while visiting. 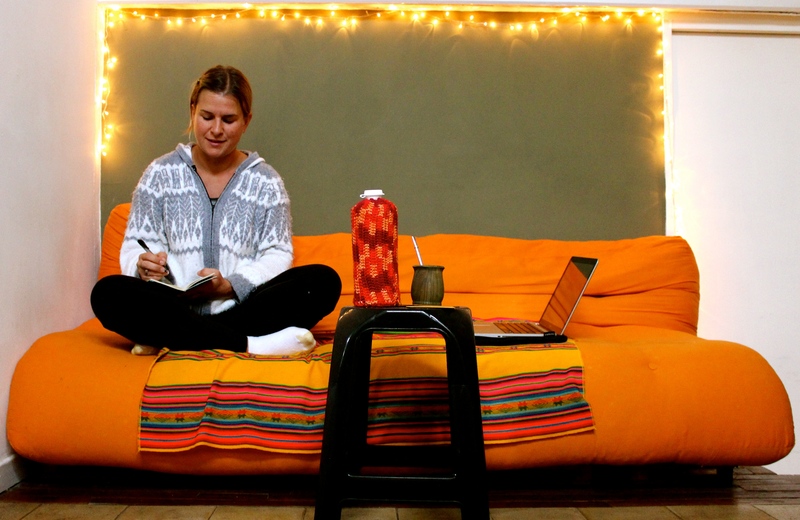 While I didn’t make them stay at a hostel and share a room with 7 other people and a bathroom with even more, they did agree to try one of the famed long distance Argentine buses. 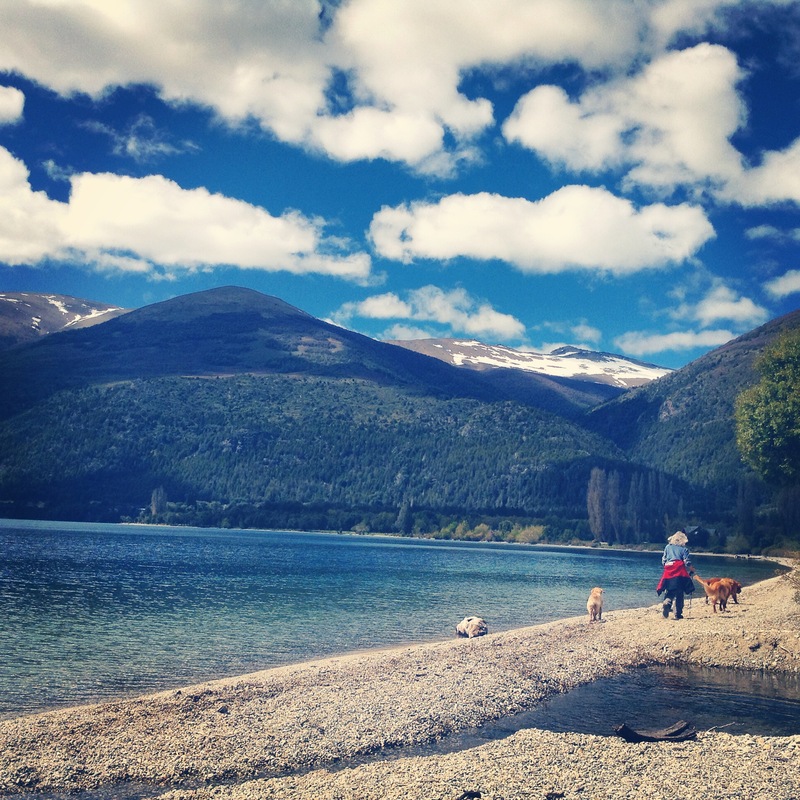 18 hours between Bariloche and Mendoza to be exact. It started out utterly entertaining, as the man came around passing out bingo cards for the chance to have some fun with your fellow passengers while competing for a bottle of decent wine. Porqué´no? Then it was movie time. At about 11:00pm as we’ve been listening to the cymbals crashing in the dramatic intro music about every 2 minutes on repeat, we see people hunkering down to sleep for the night, and I am whispering a massive apology to my parents that this is the first time ever that I have not been served dinner on an 18 hour bus ride. We decided to eat the peaches that we had brought with us for breakfast and are throwing the pits in a plastic bag as the lights are flicked on and everyone is woken up for dinner, hilarious and so Argentina. So after a couple hours in one town getting gas, a ham and cheese sandwich, 3 alfajores, 4 movies, and a little bit of sleep, we arrive in Mendoza. With my aunts and my uncle reluctantly returning to the bitter polar vortex going on in Chicago, it was now just me and my parents. And we did the opposite. 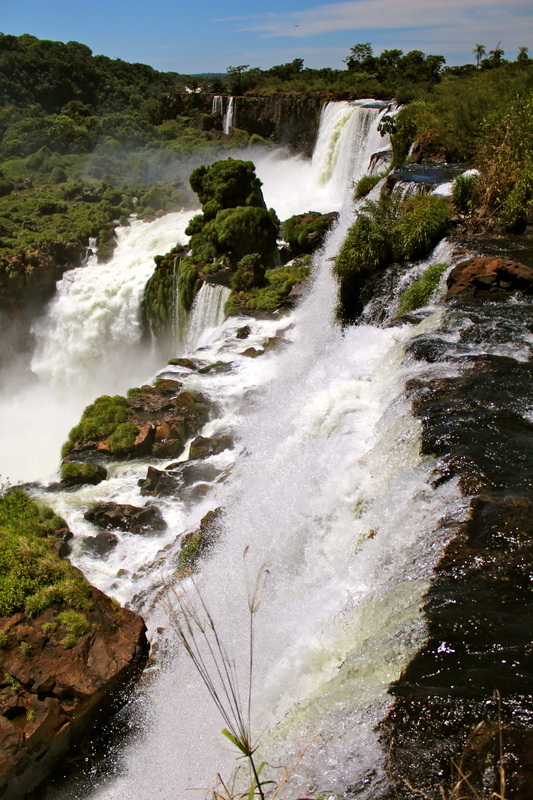 We headed to the jungle in the very north eastern tip of Argentina to see Iguazu Falls. I was so excited to show them my Argentina, and it was especially cool to start out with a place that was new for all of us. 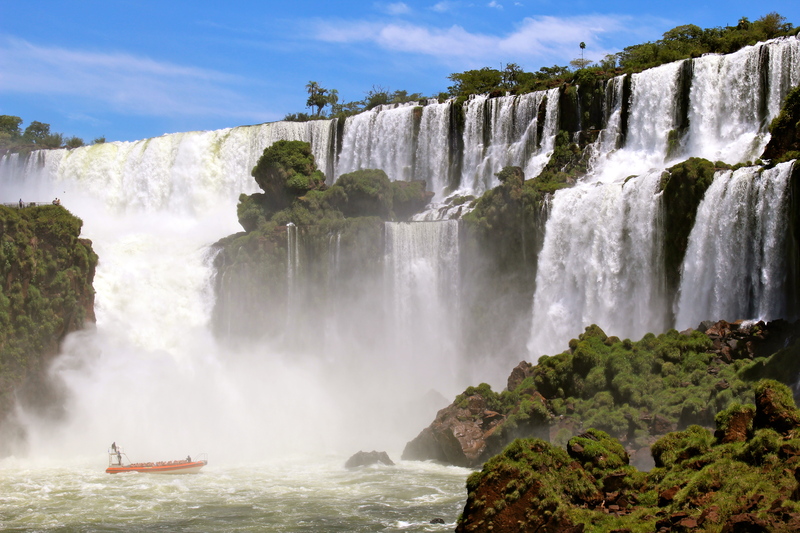 Iguazu Falls are at the tri-border of Argentina, Brazil, and Paraguay, although most of the falls are in Argentina. There are supposedly 275 drops (not sure how that is determined) with the height reaching up to 269 feet. There are all sorts of facts comparing Iguazu to other famous waterfalls, but no impressive facts can substitute for a day directly in the company and awe of these spectacular falls. It felt so good to be back in the jungle, hearing too many sounds of birds and insects to count, smelling the sweet fresh air, surrounded by so much life and green that you almost feel you are glowing green yourself. The jungle consumes you like that. Iguazu is one of those sites where you have to just accept the crowds and understand that they are there in such abundance because the site is just that impressive. So we came up with our game plan for following the trails and walkways to soak in the falls from every angle. We headed on the higher trail, which took us to a platform directly over one end of the falls. From this angle we could see the water flowing gently, but swiftly to the cliffs edge and then powerfully plunging over where it appeared the earth had just stopped. Some flowed more gently and then there was one section of the falls that was the beast. Water did not flow or pour over the cliffs there, but seemed to simultaneously erupt and consume everything in its path. There was the massive force of water, but looking closely it seemed that there were fireworks of water, a million waterfalls within one giant one. Hawks swooped overhead and I couldn’t help but think what a fortunate, fantastical location these birds and trees were born into. We took a small boat out onto an island where we could hike to more of a landscape view of the waterfalls. 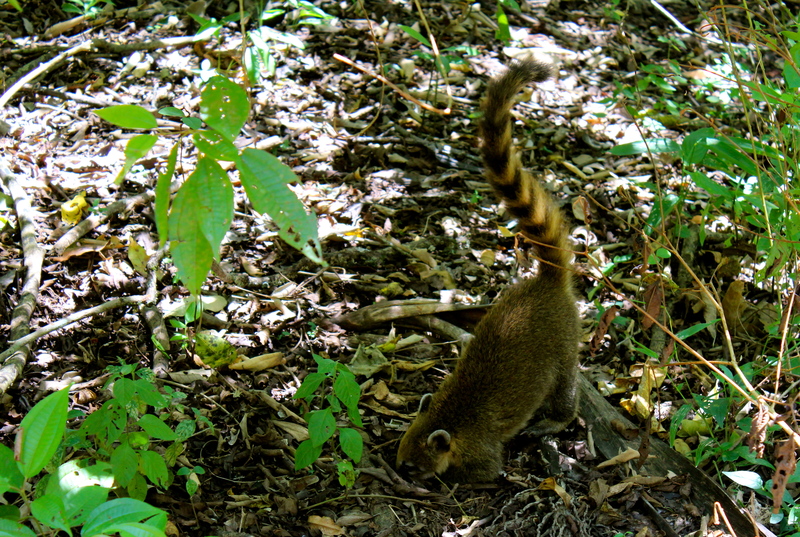 There were brave lizards along the path and crossing it, and the raccoon-cat looking hybrid coatis that were all over the place, tails up in the air, noses stuck in the ground hunting for food. I think we may have thought they were cute had we not already seen signs with gory gaping wounds from coati attacks, should you try to feed them. 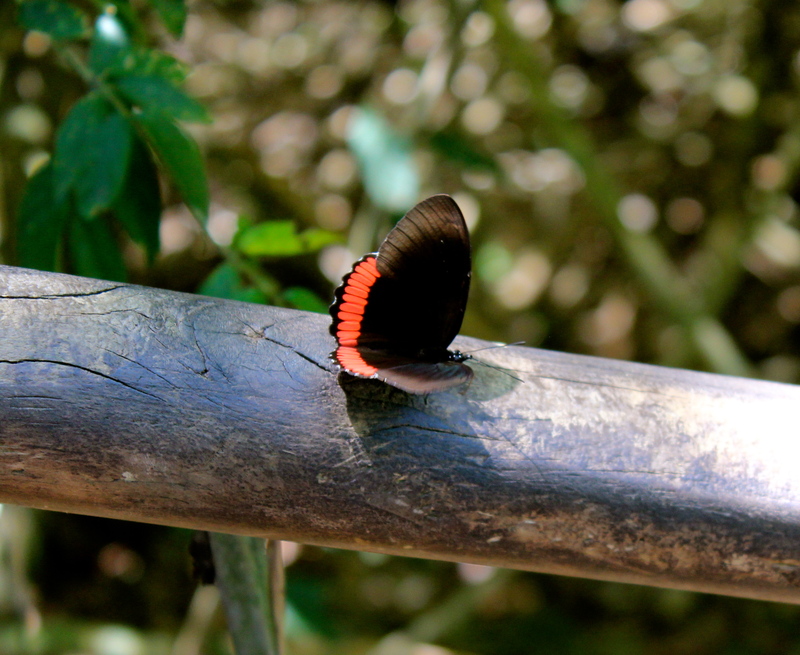 Every now and then a butterfly would flutter along side us, sometimes occasionally landing or posing for a picture. From this view, you could feel the mist grace our faces. This was just a tease for what we’d do next. We got on another boat that took us to different sections of the falls, including into a waterfall itself. That was so intense. Like what a good water ride at a theme park tries to do when it imitates nature, but could never quite match. The water just pounded us and everyone was cheering and giggling and whooping so loud in a screaming match with the roar of water. We also went to the bottom of the falls that were spread out like a great theatre curtain waiting for the big show. Although I can’t imagine a more spectacular show; this was my favorite part…camera tucked away for a bit, looking up from the very bottom of the biggest, broadest waterfalls that I’ve ever seen, feeling like paradise is a secret, magical place for nature to show off in all its glory and I am physically in it. 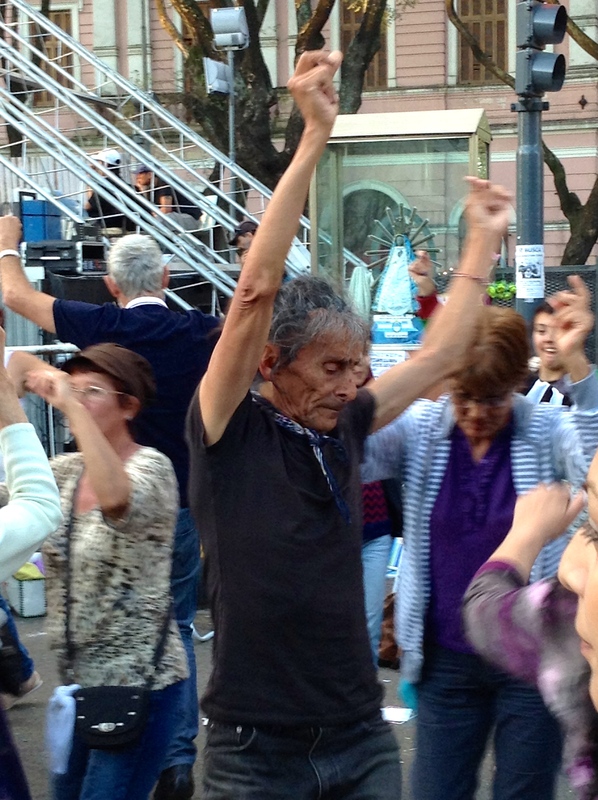 With Spanish checked off the list on Night 1, I wanted to show my aunts and uncle what I love about Argentina, the chilled out lifestyle with good food and wine. 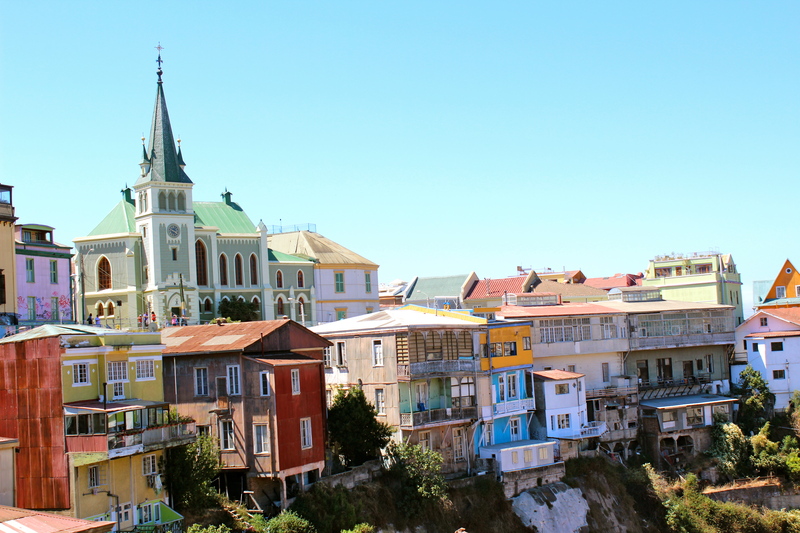 We had a day of wandering the super hip, bohemian, muraled port city of Valparaiso in Chile, and then headed to Mendoza, the perfect city to wine and dine. Wine, dine, pool, repeat. No problemo. 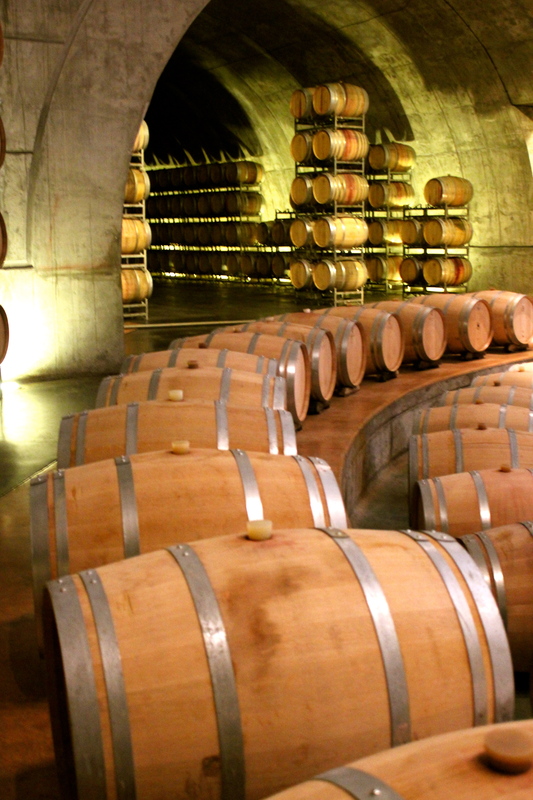 We spent a day in Valle de Uco, the darling of Mendocino wine country. Due to its more remote location at the base of the mountains, there’s the extra punch of flavor and complexity that you get from the grapes who bear the higher altitude. 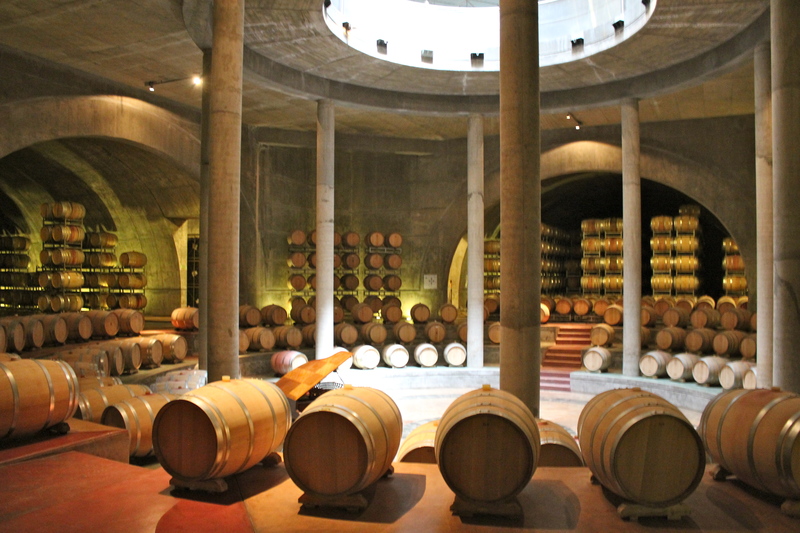 We started out at Salentein, a larger vineyard with a dramatic aesthetic to its wine cellar (pictured below). 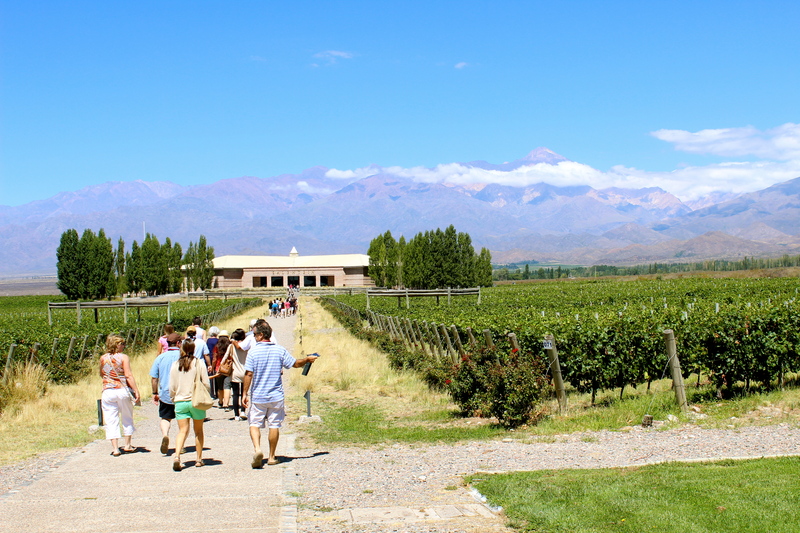 I had been writing for The Vines of Mendoza blog, and wanted to share this experience with them. And so we moved on to a long, lazy lunch at Siete Fuegos, the new Francis Mallmann restaurant at The Vines. I’ll let the pictures do the talking. It was a special and ‘elevated’ experience, pun intended. Our paths were wonderfully crossing for one night with my dear friend Trinity from California and her husband Jeff and quite possibly the happiest baby ever, their 1 year old Ivory. I planned ahead for our laughter/volume level and reserved us the table in the wine cellar room at one of my favorite restaurants. We had the room to ourselves and could conveniently get up to choose another bottle of wine from the racks of the “wine list” at our leisure. Which we did. Frequently. The party continued back at our hotel where we gathered to play guitar, sing, and drink more wine. Who knew we were so naturally Argentine! When we didn’t have anyone joining us for dinner, we made friends with the chef himself. After a day wandering around the parks, plazas, and cafes of Mendoza we went to Siete Cocinas, a restaurant in town that immediately feels like home when someone answers the door and guides you to whichever room your table is in. We did a tasting menu of the 7 regions of Argentina, highlighting that you can have exquisite food from each region without having beef. For example, even the pallet cleanser was divine…a frutos de bosque sorbet that tasted like each of my taste buds was a culinary magnifying glass for the essence of the berry. Perhaps this would’ve been another night to have our own private room though. 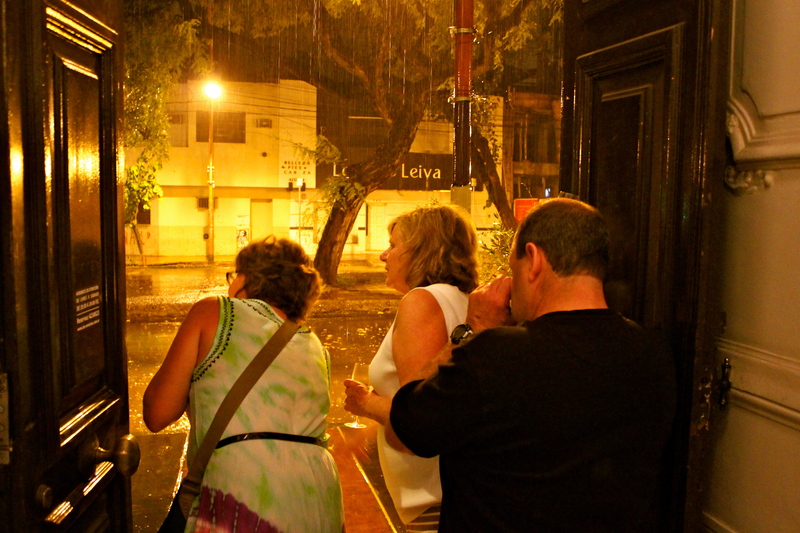 A massive storm moved in, overflowing the deep gutters that resembled moats throughout Mendoza in a matter of minutes. Luckily we had already befriended Chef Pablo, who I can only assume found us highly entertaining, as he kept us happy with spontaneously mixed cocktails and dessert wine on the house. Games were played, we watched cars fly by sending walls of water up, giggled like kids and extended invitations for the Chef to visit us in the States. We’ve been feeling so inspired by the generosity and friendliness we were experiencing everywhere. In the spirit of continuing our shared experiences, we came back from a day in the mountains to meet another dear friend of mine, Carmen la artista, who I met as she was painting beautiful murals and I was working on my writing. We had a happy hour picnic in the hotel with the food and wine we had forgotten to take into the mountains with us. From there we were headed out to dinner and ran into John, a friend who we had met on the plane from Santiago and then continued to run into at the winery and again in our hotel. So this motley crew headed to dinner together. John is opening a winery here in Mendoza, and already oversees two wineries in Oregon and Napa, so we got a free lesson in wine tasting and our very own sommelier at the table. We toasted to all of us living our passions and serendipitous friendships. 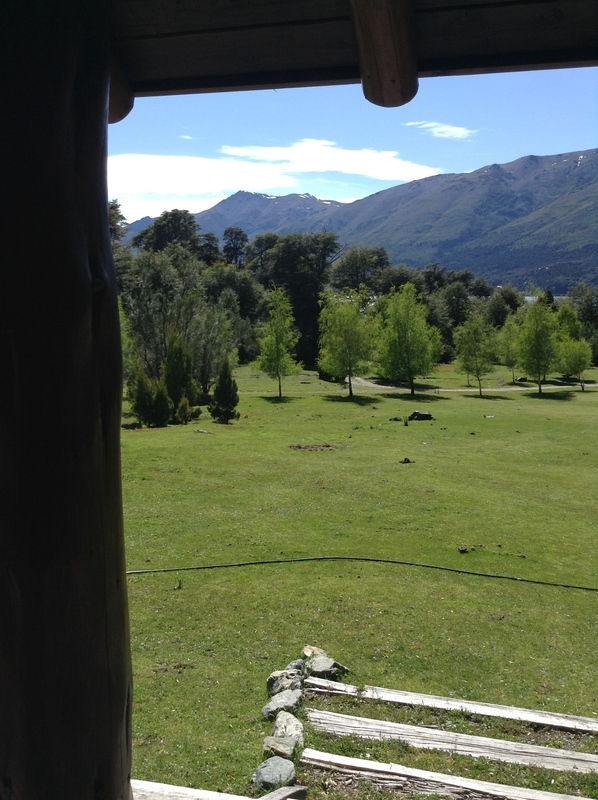 From here we moved on to Buenos Aires and waited for my parents to arrive. Eager to invite them immediately into this culinary ride we were on, we had dinner plans for a closed door restaurant that night, Colectivo Felix. My friend Nick had lived in Buenos Aires with the chef of this unique restaurant that is run out of someone’s home. 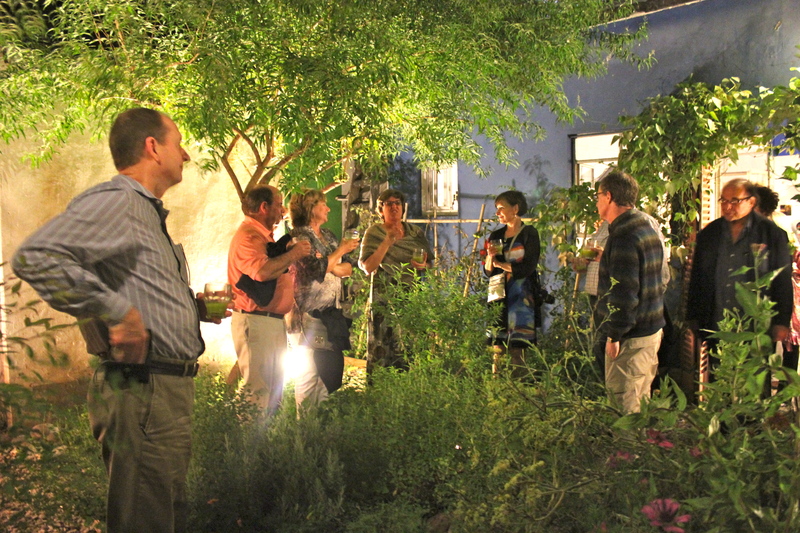 We were invited into the garden to have a fresh herbal twist on the caipirinha cocktail and meet the other guests. 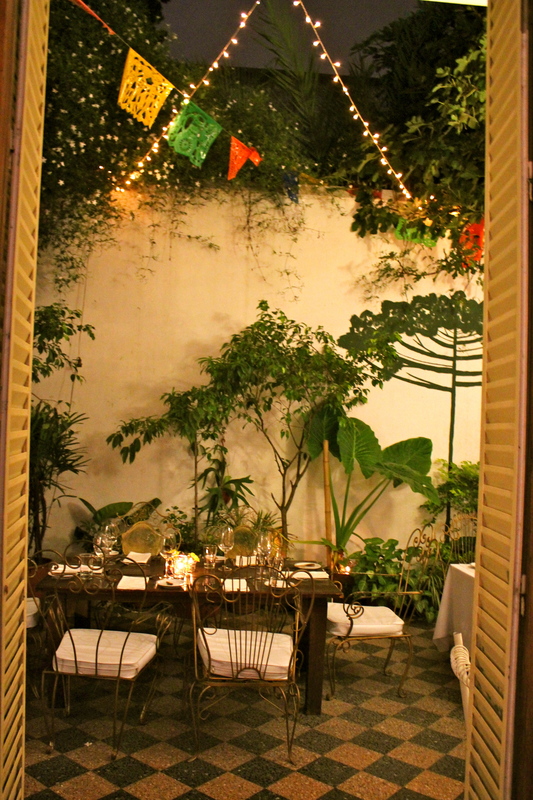 We then moved into the small courtyard for the rest of the meal, which had candlelit tables and white lights sparkling, colorful flags flying above. Vegetables and herbs grown right there from the garden we had just come from highlighted the unique flavor twists and seafood. It was so fresh and delicious. All of this eating was wonderful, but it was time to shake a tail feather. We spent the day wandering through the San Telmo market, one of my favorite ways to spend a day…taking in all of the art and craftsmanship, stopping at cafes, enjoying the buskers. 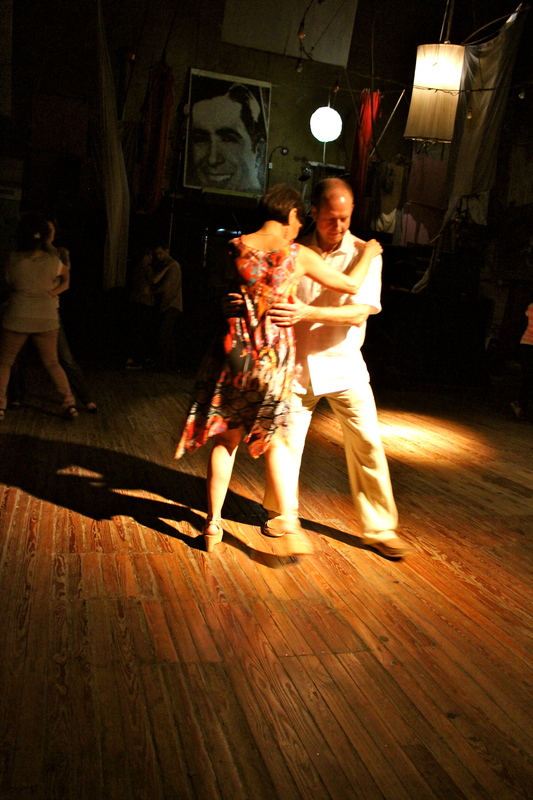 Of course we had to head to la Boca too, not only to see the colorful houses, but also to take in some tango, as we’d be trying it ourselves later that night. 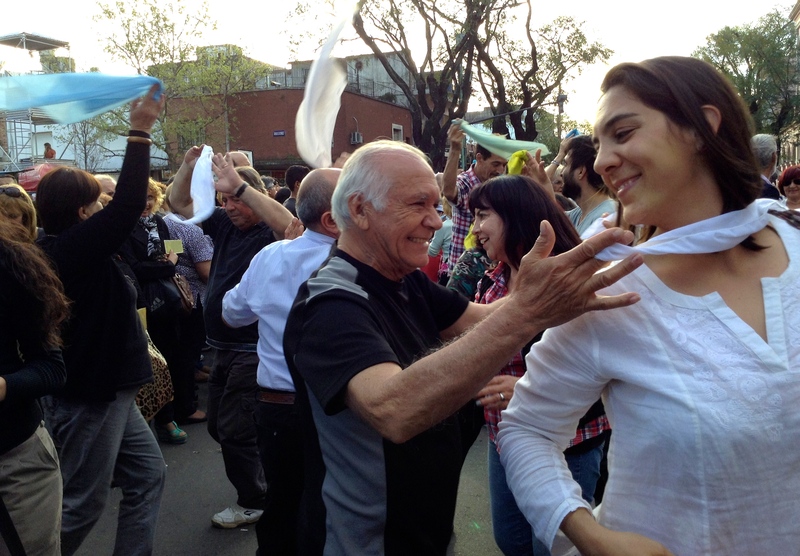 I convinced my family to head to La Catedral for a tango lesson and as I took photos of them being led through the warm-up exercises, arms in the air, hips moving side to side, I was so happy and proud of how fully they embraced the entire culture. And it turns out we’ve got some talent! Well, maybe I shouldn’t include myself in that, but by the end of the night, they could genuinely say that they can tango. Considering the first exercise involved learning how to walk, I was so impressed to see them glide across the floor, trying out different moves in time to the mysterious and dramatic tango music.